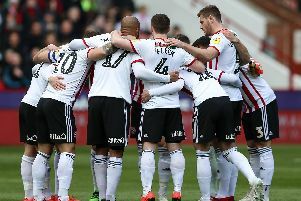 Nigel Adkins has refused to take any credit for Sheffield United’s impressive start to the new League One season, writes James Shield. Instead the former Southampton and Scunthorpe chief says a four match winning streak, which has catapulted United to within two points of leaders Gillingham, can be attributed to his squad’s “attitude and application” since suffering a heavy defeat at Priestfield on the opening day of the campaign. “It’s all about the players,” Adkins said. “Ultimately, everything is down to them. “We try to give them the right framework and environment to perform. We’re fortunate to have a superb coaching staff, including Andy Crosby and Dean Wilkins, here. United could overtake Justin Edinburgh’s side if they beat Bury this weekend. Adkins, who took charge in June, added: “The attitude and application of the group has been superb ever since we came in. But things aren’t always going to go your way and that’s when we’ve really got to rely on that spirit and mentality, when we’ve really got to be united together, that’s when you’ve really got to dig-in.